Earn and redeem points for simply enjoying the hospitality within the SL Hotel. Whether you are enjoying the delicious buffet, purchasing a meal in the restaurant or a round of drinks you will be rewarded! The more points you earn, the greater your rewards! Simply visit the SL Hotel, fill in the membership form and one of our lovely staff members will enter your details on the spot, print your Diamond Rewards card and you’re ready to start earning points. As a member you’ll be able to enter the many competitions by swiping at the Diamond Rewards kiosk within the SL Hotel or purchasing food and beverage within the venue. You’ll also be able to access your rewards and find out your points balance too at the kiosk. Points expire after 12months if not used. Any missuse if the Loyalty Card and system can lead to cancellation from the system and competitions. 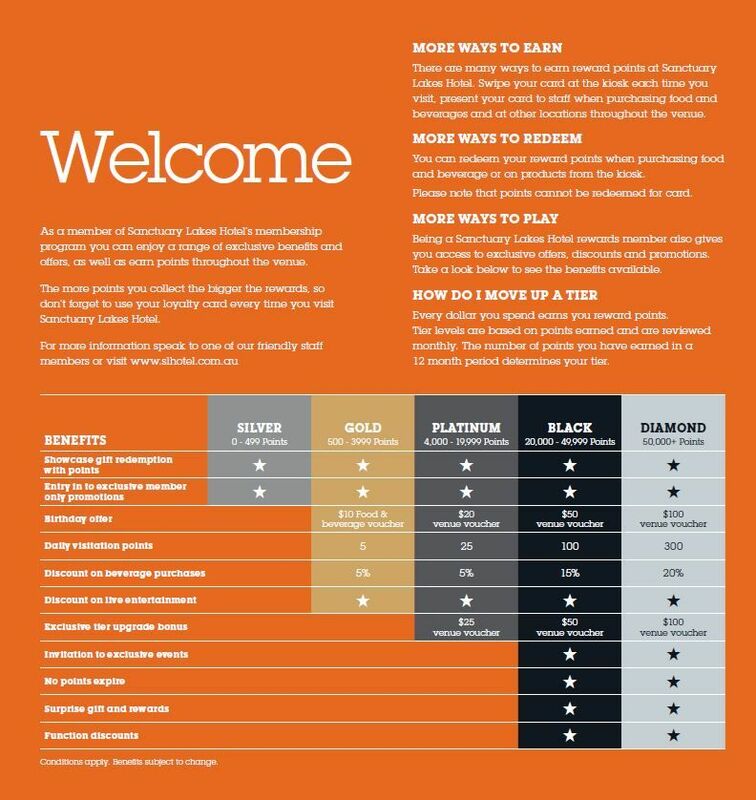 Come into the SL Hotel to Join our Loyalty Club !! Start receiving the benefits today !! !